CE1DY, CE7KF, CE1TBN, CA5GRF, CE7PGO will be active from Ascension Island, Guaitecas Archipelago, IOTA SA - 043, 10 - 17 January 2017 as XR7T. They will operate on HF Bands SSB, Digital modes. Julio Zavala, Terue 1099, Las Condes, Región Metropolitana, Santiago de Chile, Chile. 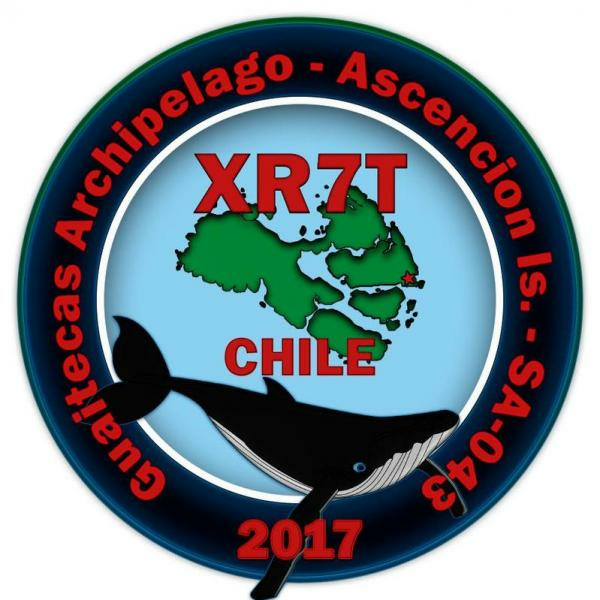 Ascension Island Guaitecas Archipelago XR7T Logo. 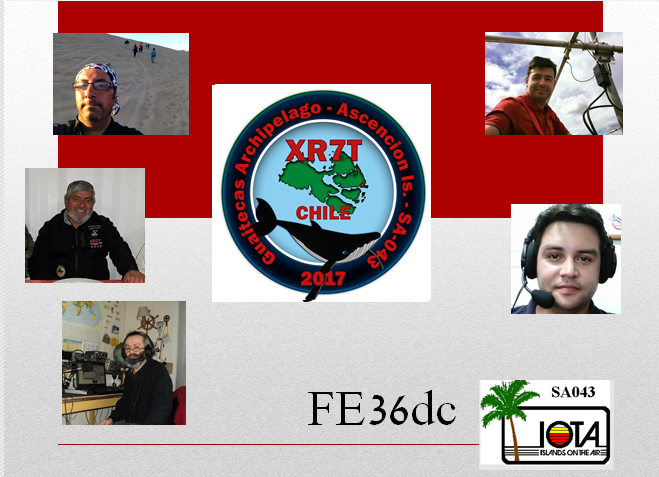 Ascension Island Guaitecas Archipelago XR7T Team. XR7T. Ascension Island, Guaitecas Archipelago. Map.